Bob Swann always had a project. I first met him at a dinner and song party in New Hampshire in 1967. At the time he and the economist Ralph Borsodi were raising money through their newly formed International Independence Institute to create a low-interest loan fund for farmers in India. Vinoba Bhave’s land reform movement (known as Gramdan) had helped secure land for the farmers, but they had no tools to work the land, and the 100% interest rate offered by local loan sharks was too high a price for the farmers to pay. So the migration from villages to cities continued. Bob and Borsodi met with small groups in church basements, sometimes driving for hours to present their proposal. I was twenty-one and deeply engaged by my studies of philosophy and literature. These economic theories held little interest for me, but one thing impressed me in their plan: the funds would not be lent to isolated farmers in scattered villages but rather to the farmers of a whole village. Working with Vinoba and his associates, the International Independence Institute would seek villages with strongly established social systems (Borsodi was especially interested in family planning) and a vibrant cultural life characterized by good schools, fine craftsmanship, song, and celebration. When the cultural and social elements of village life are in tact, then economic ventures have sound ground to flourish and take root: it takes a village to support a farmer. Small loans placed in such circumstances are homeopathic in their influence, fostering established businesses that have a high probability of repaying debt. In 1977 I again heard Bob speak, this time via radio from the Cambridge Forum. He was garnering support for Fritz Schumacher’s project to bring intermediate technology to the villages of India. Bob told the story of a large brick factory built in India with foreign capital, intended as a model development project. When the factory was finished, it was discovered that there were no roads leading to or from the factory suitable for transporting the large quantity of bricks capable of being manufactured there. The factory stood empty, a monument to inappropriate planning. In place of the factory Schumacher was encouraging the use of a small-scale brick-making technology that could be employed on site in each village as demand for bricks dictated, eliminating the need for long-distance transportation. As a designer and builder of affordable housing, Bob was excited by the possibilities of such a locally-based, user-friendly technology. The details of the technology failed to interest me, but the consistency of this man who persisted in his advocacy for a just economy did stir me. My grandfather had recently died leaving me with a $10,000 inheritance, twice what I earned per year as a literature teacher in a small Waldorf School. I decided to spend the next two years writing about those working to change the economic system to incorporate social and ecological principles. I believed that the economic world had the strongest hold on the American psyche and would contain the key to the renewal or degrading of the American character and I wanted to record the effort to bring about positive transformation. The International Independence Institute had been folded into the Institute for Community Economics. I joined as a volunteer in September of 1977, the same month that both Schumacher and Ralph Borsodi died. Bob soon took on a new project, the establishment of the Community Investment Fund, the first social investment fund with positive criteria. The organization served the project, rather than the project the organization. We took risk, dared to venture on untrodden ground, made mistakes, and started a movement. In 1980 Bob and I were asked to lead and administer the newly formed Schumacher Center for a New Economics. Under Bob’s influence the organization has been project driven—breaking new ground in community credit systems, self-financing techniques for small businesses, community support of farming, citizen based initiatives for creating affordable housing. These projects engaged his energy, passion, and intellect. But they needed a institutional home base if they were to be replicated. 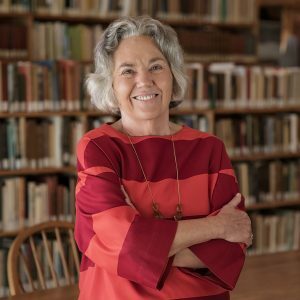 The Schumacher Center grew around them to embrace them through the irreplaceable library of resource material, the stunning lecture program so beautifully edited by Hildegarde Hannum, and a solid reputation as an advocate and initiator on behalf of small communities and local economies. In October of 2002 when we learned that Bob’s cancer had metastasized to his lungs and that there were no known conventional treatments, the board of directors asked me to help Bob prepare a final letter to members. We imagined that he would reflect on the accomplishments of the Schumacher Center over the preceding twenty-two years, touch on a few important milestones, thank members for their support, and share his wishes for the organization’s future. I asked Bob to prepare the letter in his mind and then dictate it to me at his own pace over the next week. We would then edit it together to meet his satisfaction. I laughed to myself, surprised that I had not anticipated his response, which was, after all, thoroughly consistent. He still had a project in mind—a local currency. Thinking strategically about the next steps necessary for a local community to issue its own currency, Bob realized that the principles and processes of making productive loans would need to be broadly understood within the community. For a currency to hold its value and become a trusted medium of local exchange, it is important that those trading with the currency find a sufficient supply of needed items for purchase (food, clothing, shelter, energy). The soundest way to ensure that supply is to place the currency in circulation through the making of productive loans. A productive loan is one that generates more value in goods than the value of the loan itself, as illustrated by a loan to a baker for a new oven to increase the number of loaves baked in a day. New money is created at the point of making a productive loan. This principle is at the heart of a community learning to take charge of its own economic destiny. Bob understood this and was asking us to reach high and place the next block in the ongoing work to build sustainable local economies. If asked directly about the organization, he would have expressed pride at the accomplishments of the Schumacher Center for a New Economics; he would have given thanks for the support of its members; he would have voiced pleasure at the beauty of the library; he would have acknowledged his awe before the range and quality of thought of the printed lectures; his eyes would have filled with tears as he recalled the late evenings stuffing envelopes, the earnest discussions, and the shared meals with young staff members and interns, now with families and projects of their own; and he would have had pick-up-truck loads of good wishes for us all as we continue to work together to fashion economies and communities of permanence. But it would not occur to him to say all this to you. He assumes you understand his appreciation of you. After all you joined freely in this work, stirred by its necessity and promise. That work together of building community economies best honors the legacy of Bob Swann.